Chinese kids app developer Dr. Panda is expanding its AR offerings with a new app entitled Dr. Panda AR Christmas Tree. 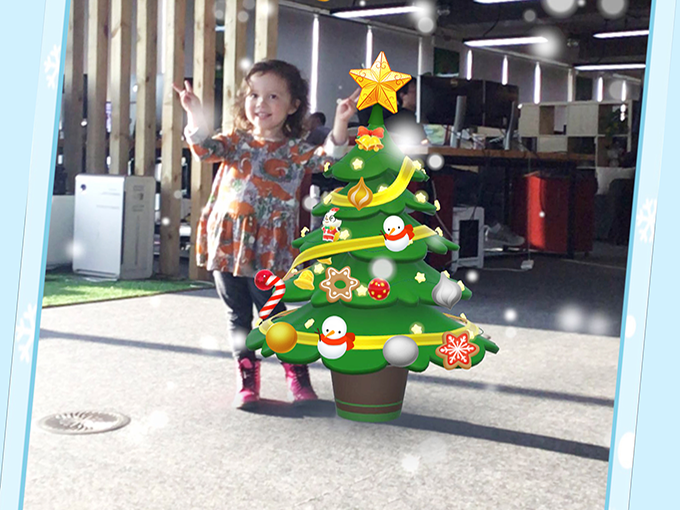 The app, which uses Apple’s ARKit and is designed for kids ages three and older, incorporates augmented reality into the countdown to Christmas with a virtual tree that kids can decorate. Using an iPhone or iPad, the app places a 360-degree virtual tree in a physical space. Each day leading up to Christmas, a new ornament will be revealed. Users can customize their tree not only by decorating it, but also by adjusting its size to fit perfectly inside their home. Currently available in the App Store, Dr. Panda Christmas Tree is compatible with iPhone 6s and up as well as with the latest generation iPad running iOS 11. This holiday release comes shortly after the September launch of Dr. Panda’s first-ever app-connected toy, Dr. Panda Plus: Home Designer, which allows kids to design their own homes, customize furniture and interact with a cast of characters in an open-ended play format. Augmented reality continues to dominate the conversation around kids and tech. Last year, Pokémon GO became the most successful mobile launch in history, according to SuperData research. The app surpassed US$250 million in revenue across iOS and Google Play within its first few weeks. Just last week, Paramount released its first AR app, Cade’s Junkyard AR Experience. The free iOS app was developed by Viacom’s VR division, Viacom NEXT, and uses Apple’s ARKit technology to let players control the actions of the popular Autobot Bumblebee, digitally overlaid in real physical spaces. In August, Disney launched its Star Wars-inspired Find the Force AR experience in retail locations around the world. The challenge was a treasure hunt that saw characters from the franchise appear in participating stores when fans used their devices to scan a graphic. And, according to global market intelligence firm International Data Corporation, the AR market is only expected to grow. The firm has predicted that worldwide revenue for the virtual reality and augmented reality market will skyrocket to more than US$162 billion by 2020. Source: Foster, Elizabeth. (2017, December 01). “Dr. Panda launches new AR app”. Kidscreen.